By now most businesses small, medium, and large have a good hold on their social media management. But, many are falling into the “like factory” which I like to call when people scroll through their wall and aimlessly like stuff without paying attention to who actually posted it. When you fall into this, social media doesn’t feel that exciting. 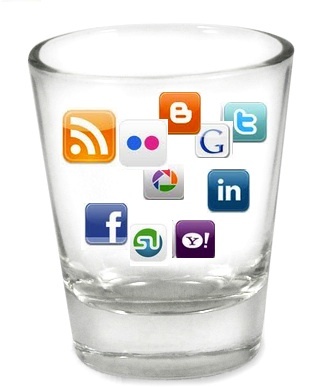 When you get to this point it’s time get more social with your social media marketing. It’s surprising but common that most employees of businesses that keep up with their social networks aren’t interacting at all with their content. The first step to really getting social is to make sure that employees are involved. A good way to really give this strategy a kick start is to get your social following out of that rut of just randomly liking your funny dog pics and get them to want to come out to your location. This is great way for employees to get excited about what’s going on by actually seeing people come through the door. I worked with a client that really liked posting fun non traditional holidays such as, National Ice Cream Day. They really got into the spirit by offering ice cream sandwiches that day to people that came out to the store. This strategy is great for local businesses especially if you can be consistent. If you want to generate some sales right away think about not only posting Happy Mothers day, but maybe giving a discount or a special coupon on that day. I hope some of these ideas will help you take the steps to get out of the “like factory” and get more social.